Elegant ivory satin bridal shoe with delicate embroidery detailing. 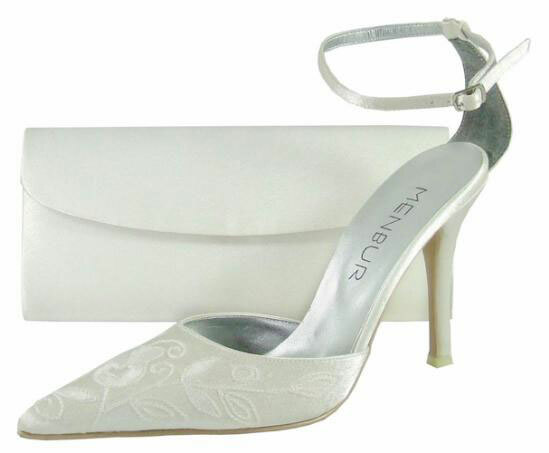 4" satin covered heel & padded insole by Menbur, Spain. Adjustable buckle fastening. Perfect for a special occasion matching bags available.